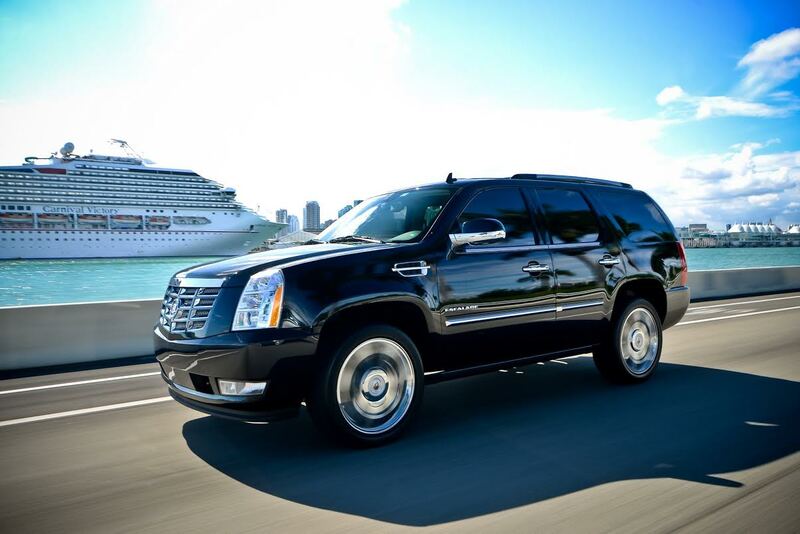 Big money, big success, big bling; the Cadillac Escalade has it all and imposes the same grand image upon its occupants. The Escalade has earned its flashy reputation with unrivaled style, combining the very essences of luxury and power into one seductive mix that's difficult to resist. This imposing yet inviting luxury SUV rental features all the comfort and convenience of a top-dollar luxury sedan, including automatic climate control, premium Bose sound system, ultrasonic parking assist, power adjustable pedals and heated seats of the softest leather. Navigation and DVD entertainment are available, as are a rearview camera and retractable running boards. 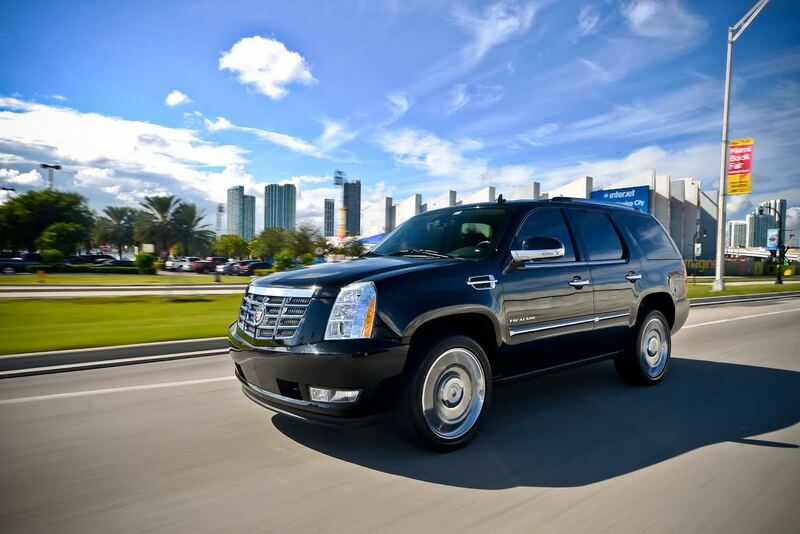 The Escalade SUV rental Miami is powered by a 6.2-liter V8 engine, attached to a six-speed automatic transmission and delivering the power of 403 horses thundering under its massive, shining hood. The result is tremendous acceleration for a vehicle weighting in at about 5,500 pounds; power that you will enjoy being in control of from the luxurious comfort of the driver's seat, cocooned within the decadent interior of your Miami rental Escalade - brought to you by makers of Cadillac and the professionals at Elite Luxury Rentals.